That phone call led to many others, and as the old friends reconnected they started having reunions at Seneca every few years. I attended the reunion in 2014 to hear the tales, enjoy the camaraderie, but also to learn more about these ol’ boys and their adventures back in the day. My father, John Green, Jr., grew up in Richmond, Virginia, and developed a love of the outdoors at a young age. He has relatives in the small town of Marlinton, WV (don’t pronounce it with a ‘g’, you’ll be run out of town if you do). “My cousin John Sharp took me into a cave on a visit to West Virginia, and when I got back to Richmond I found out there was a cave club,” my Dad said. Coleman Grandstaff grew up in Richmond and, like my dad, developed a love of the outdoors at a young age. “I climbed in coal mines, open pit mines, and cliffs along the James river. 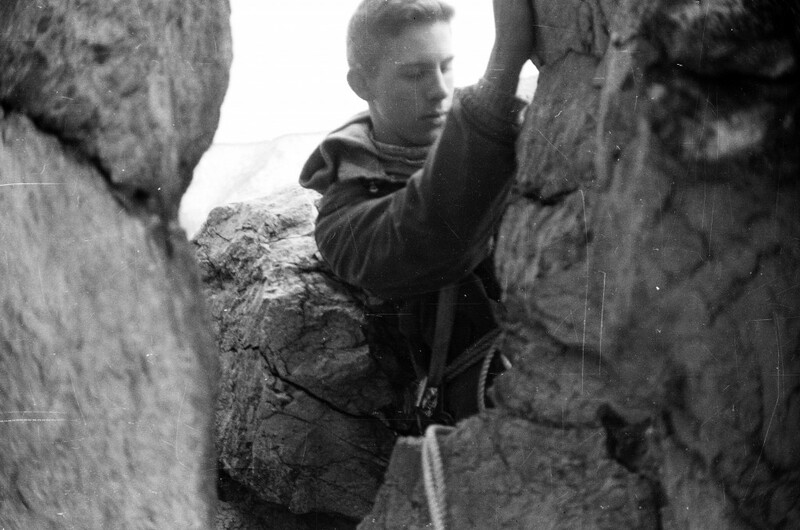 I taught myself rope techniques, which I verified when I went to a climbing camp at the Maroon Bells in Colorado in 1956” Coleman recalled. By his early twenties Coleman had met Julijs Licis and Phil Webb. My dad met Coleman through the caving group. They started going to West Virginia to go caving. While they loved caving, they were intrigued by an emerging outdoor adventure activity known as rock climbing. Coleman Grandstaff climbing, Julijs Licis sitting. Taken in the early 1960s. Seneca Rocks rises like a knife out of a ridge line above the confluence of Seneca Creek and the North Fork of the South Branch of the Potomac River in West Virginia. It was a training ground for the United States Army 10th Mountain Division before the general public started climbing there regularly. Coleman’s first visit to Seneca was in the summer of 1961, at the age of 22. He was with his friend Paul Genier and a few other people. “I was amazed by it. I wanted to climb it that day, but Paul didn’t let me take a rope, he didn’t want to climb it. So I climbed the Pine Tree route with no rope, then climbed back down” said Coleman. My dad, 17 at the time, first visited Seneca later that summer. 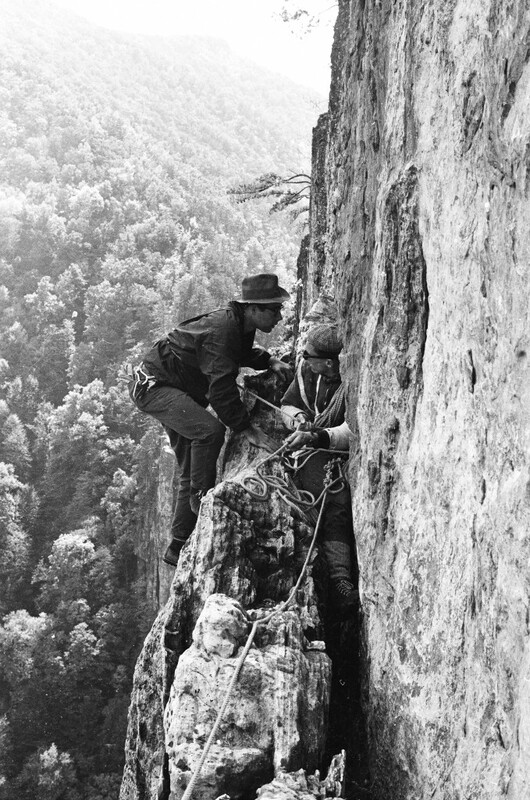 These trips were the birth of a climbing group that would continue to climb at Seneca Rocks through the 1960s and into early ’70s. David Alton, Coleman Blake, and several others joined the group as time went on. In the early 1960s rock climbing was in its infancy on the east coast. “Not many people on the east coast climbed back then. In the early 1960s I heard Yosemite was the biggest area of climbing in the United States. Royal Robbins, Warren Harding, they were pushing big wall climbing. I heard about it, but didn’t know much about it” my Dad said. As far as the climbing at Seneca, “you would see some other people there, but there weren’t a lot. There was no congregation spot like the current climbing shop” said my dad. When it came to the gear, they did their best with what was available at the time. “We went to an army surplus store and bought 500 feet of nylon rope. It was boating rope, not climbing rope. There was no stretch to it” said Coleman. “We made our own harnesses out of military webbing that you could get at the Army surplus store,” My Dad said. The pitons used for protection by the 10th Mountain Division were still in the rock when he and and his friends started climbing there. If you ever wondered if you can start a climbing shop out of a Volkswagen van in the middle of nowhere West Virginia, the answer is yes. While living in Columbia, Ohio, Steve Richards got a call from his friend John Markwell, who lived in Pendleton County, WV. “John called me and said ‘let’s start a climbing shop. I think there’s a market here’. My first thought was ‘no, there’s not enough of a market, there’s not enough people’” said Steve. 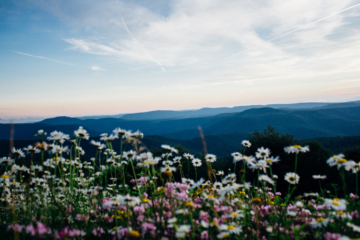 But he quit his job, and with $700 in savings he moved to Seneca Rocks. 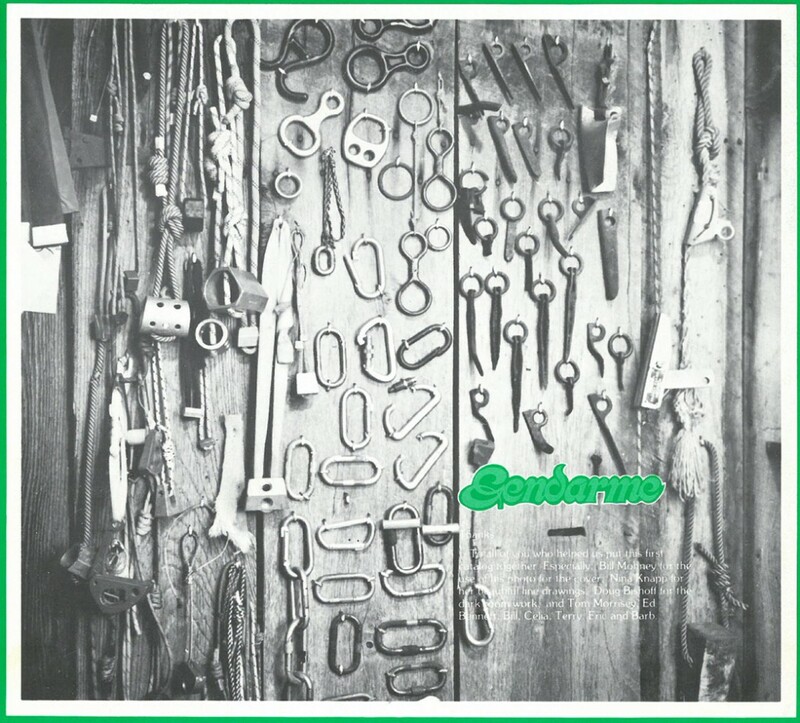 John and Steve opened The Gendarme climbing shop out of Steve’s Volkswagen bus in 1971. The first catalog ever issued by the The Gendarme. Bill Marple, a local landowner, said he had some land along the road they could put a building on. 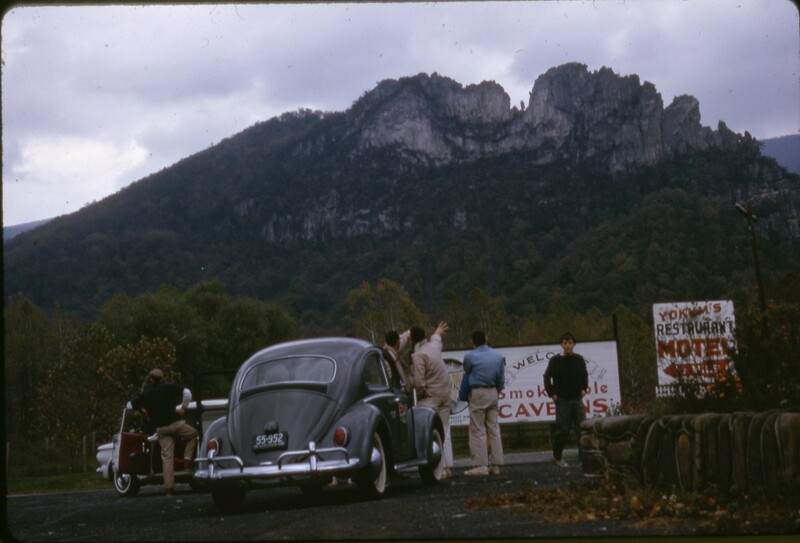 The United States Forest Service owned a farm north of Seneca Rocks, and auctioned off the buildings on the property. “The Forest Service didn’t want the buildings, they wanted the land” Steve said. Bill bought the buildings for one dollar each. The plan was to move one of the buildings to the land Bill offered. “It took six weeks to get the building down off the mountain, up the road, and up on cribbing where it was going to sit. Then John and I spent several months getting the cribbing out from underneath it, getting it leveled, etc.” They moved the climbing shop into it in the fall of 1972. 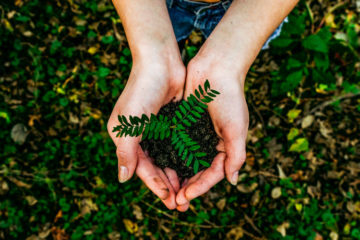 They established some contacts and were able to get materials shipped to them that they could sell, along with developing some local contacts with warehouses and wholesalers as well. “It was slow at first, it didn’t provide an income we could live on. I started making chock stones to augment my income and occupy my time” said Steve. There was one rope manufacturer in the northeast that made laid rope, which was nylon and spiraled. “It was stiff, hard to work with, but strong, and relatively inexpensive compared to rope imported from Europe” he said. The laid rope was easy to get, but the imported rope was a different story. “An importer would get a shipment of rope, and it would have to be divided between all the distributors who wanted it. We would get two ropes. In the early days an imported rope might be in the shop for a few weeks before someone would buy it” said Steve. As local climbers began to favor the imported rope the demand rose, and after a few years The Gendarme had a waiting list. They managed to get a distributorship from Chouinard Equipment to carry their pitons. “We got a few carabiners from Chouinard, but they were pricey. We typically bought them from the importer coming out of Europe. There was a manufacturer in Colorado that started making them, so we started buying those as well. For a while that stuff just wasn’t as common. We had to scratch around for it” he said. The Gendarme moved to its current location in 1976. Steve met Coleman Grandstaff, my dad, and Coleman Blake in August of 1972. In 2000 the group began to reconnect after many of them hadn’t seen or talked to one another in a long time. 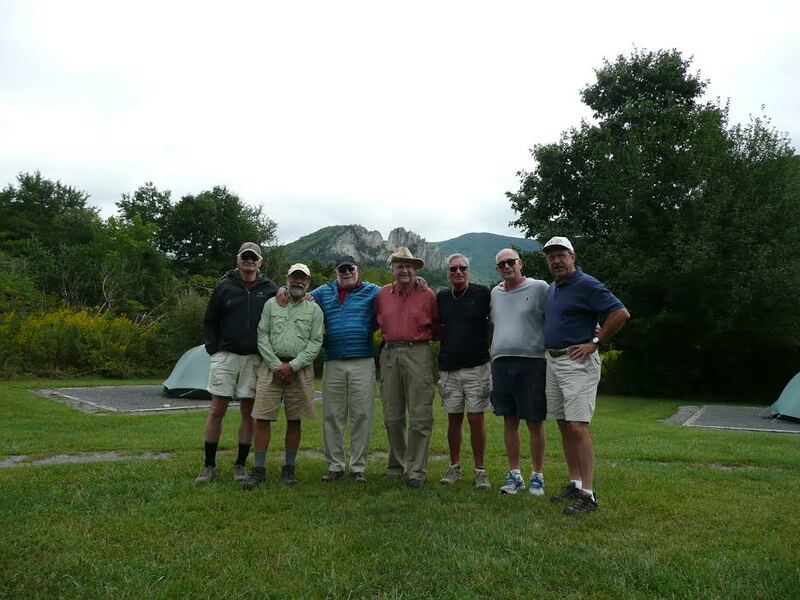 As they reconnected they came up with the idea of having a reunion at Seneca Rocks that next year, which marked the 40th anniversary of the first time they climbed there. Since that time they have gathered every two years at Seneca to catch up on life and tell old tales. Not every member of the group makes it to every reunion, but those that do enjoy the company of old friends. The 2014 reunion marked the second one I have been to. Seven members made it that year, although at this point the reunions also consist of wives, and in the case of Coleman Grandstaff and my dad, their sons. The schedule is the same each year – people start arriving on Friday, and on Saturday they hike the hikers trail to the top of the rocks. Each of them expanded to other outdoor pursuits after their days of climbing at Seneca. Steve Richards is an avid backpacker and cyclist. Coleman Grandstaff has explored the east coast, the Rockies, and the Tetons. His travels also include British Columbia, the Himalayas, and the Patagonia region of South America. As for my dad, he made Colorado his home, and spent his adult years exploring the mountains of the west, whether it be skiing, climbing, cycling, or river rafting. He started taking me into the mountains at a young age so that I could develop my own love of the outdoors, and I haven’t looked back since. All of us outdoor enthusiasts have a place that is to us what Seneca Rocks is to my dad and his friends. A place where it all started, where we formed friendships, shared adventure, maybe had a few close calls, but most of all, a place where we formed memories. J.B. Green was born and raised in Denver, CO, where he continues to live to this day. He enjoys skiing, mountain biking, and rock climbing. He also enjoys making trips to beautiful outdoor locations whenever he can.